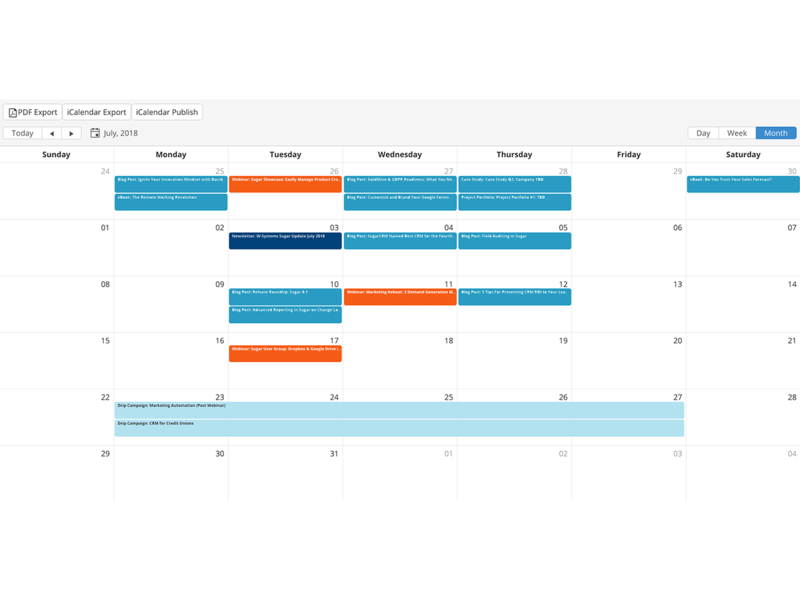 wCalendar: Advanced Calendar Configuration SugarCRM, Inc.
wCalendar is a customizable calendar solution for Sugar to display any standard or custom Sugar module on a calendar. 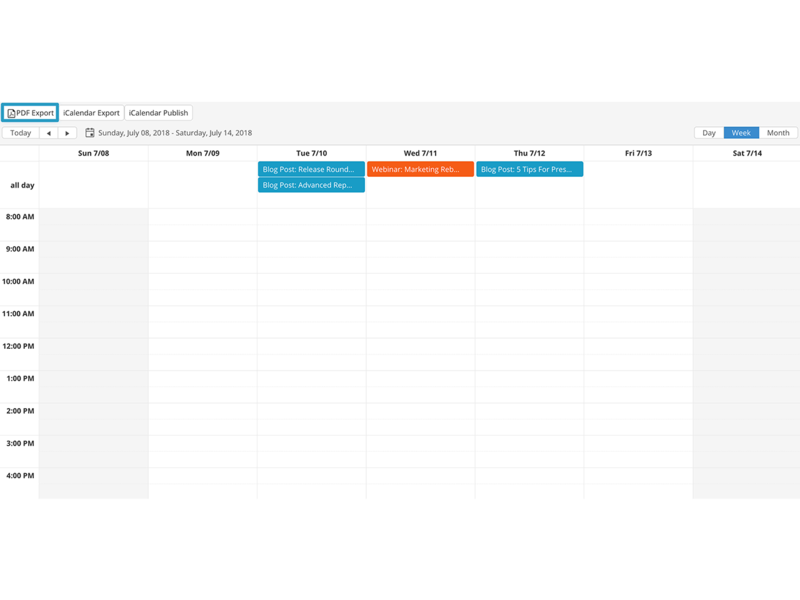 In addition to viewing calendars directly in Sugar, you can embed calendars into workflows, dashboards, and layouts allowing you to present record-specific, dynamic calendars for better decision making. 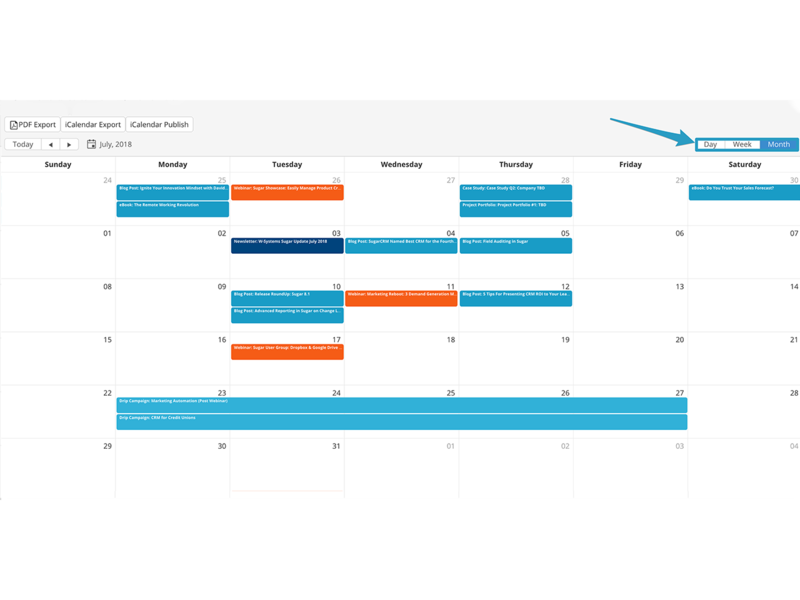 From the wCalendar panel, you can create, edit, move or delete events with ease. All it takes is a few clicks, or dragging and dropping. 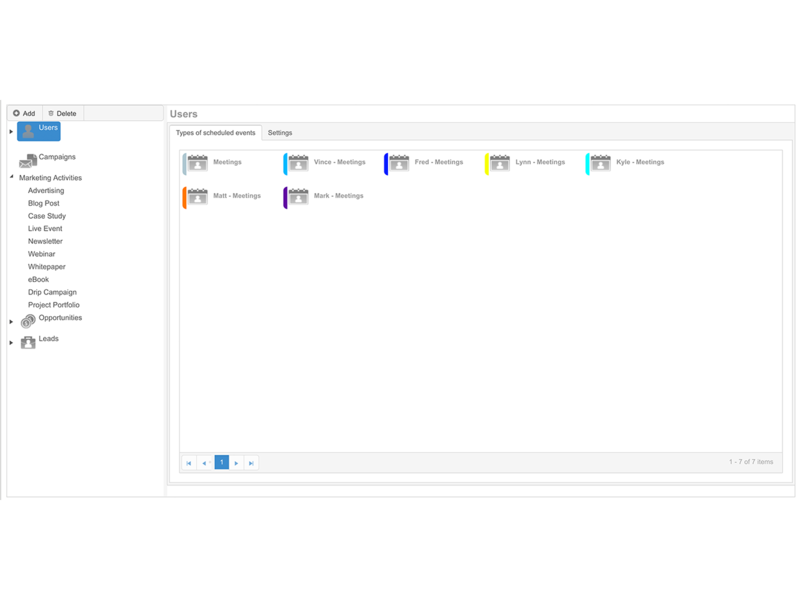 wCalendar's settings offer a wide variety of customization options for events, such as choosing colors, setting up a display template for each event type, or control whether they can be created, updated or removed. 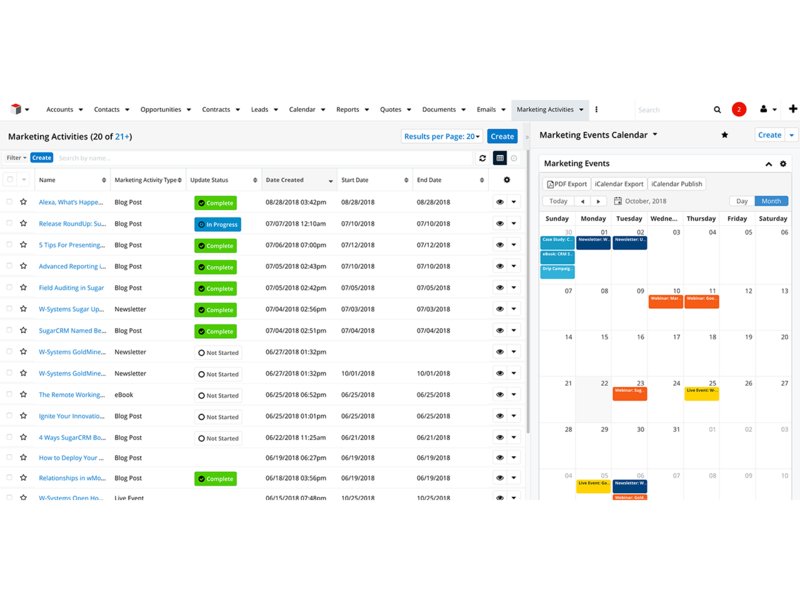 Whether your company uses Sugar for sales, marketing efforts, customer service or even project management, you can create event types to keep up with meetings, calls, track tasks, or even project goals and deadlines. 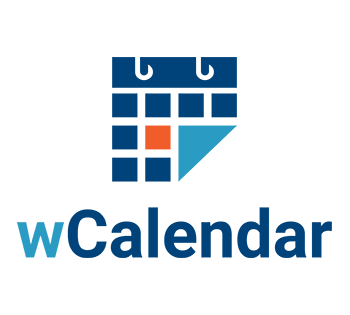 Choose whether to display the events in your calendar by day, work week (5 days), week (7 days), month or as an agenda or timeline. Download your calendar for offline viewing as a PDF file. The exported calendar will use the same display you have chosen in Sugar. 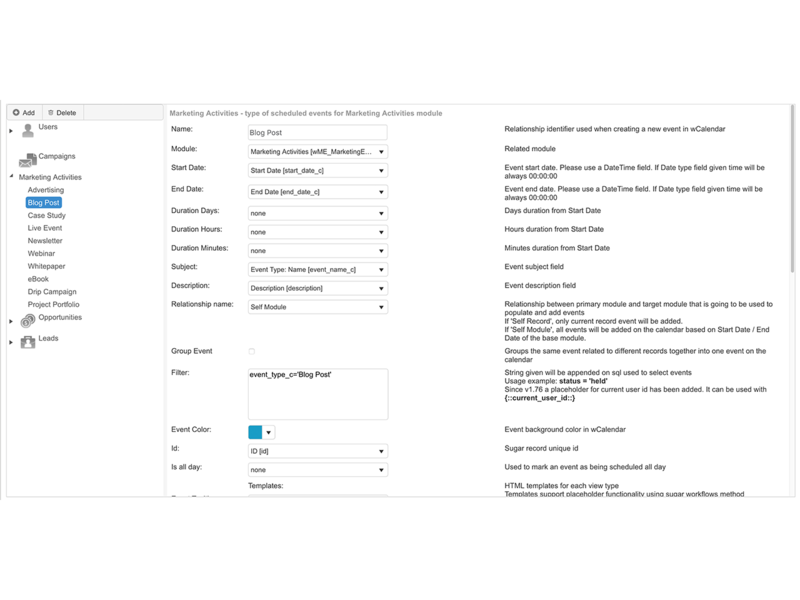 Create and configure the wCalendar dashlet to display scheduled events for a whole module in the List View, or just the events of a single record inside the Record View.